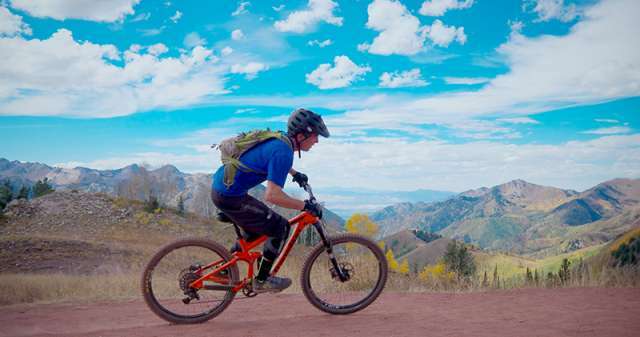 The Wasatch Crest Mountain Bike Trail near Salt Lake City is consistently ranked among Utah&apos;s top mountain bike trails, but it also easily measures up against as one of the America&apos;s best mountain bike rides. You won&apos;t get very far down the trail before you realize why. 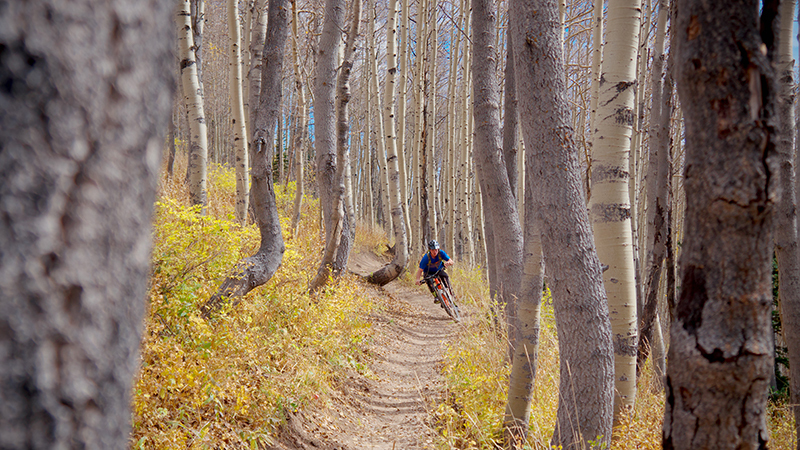 There are a multitude of ways to ride this trail, and you won&apos;t regret any way you choose. However, the standard approach is to begin at the top of Guardsman Pass. You can leave a shuttle vehicle at the Mill Creek Park and Ride in Salt Lake City, or leave a vehicle at the Big Water parking at the top of Mill Creek Canyon. 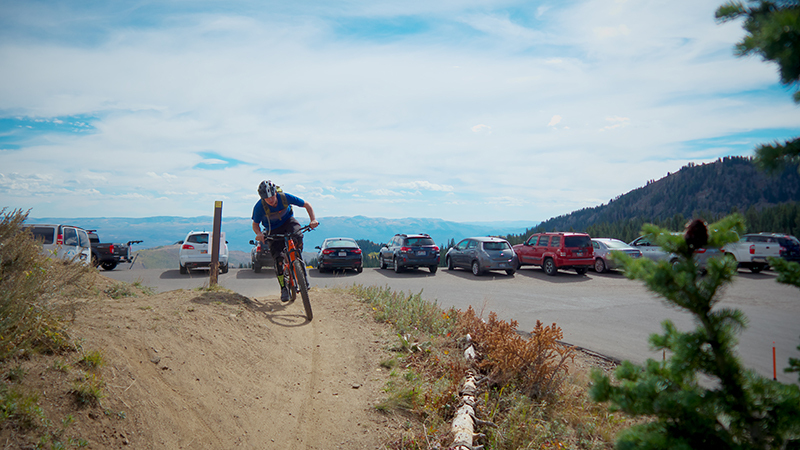 Also, the ride is popular enough that you can find paid shuttles to take you and your bike to the trailhead. Be aware that this route includes the upper trails of Mill Creek Canyon, which are only accessible to mountain bikes on even numbered days. From there you can access the Scott&apos;s Bypass singletrack. Ahead of you lies endless twisting, flowing trail with indescribable vistas. 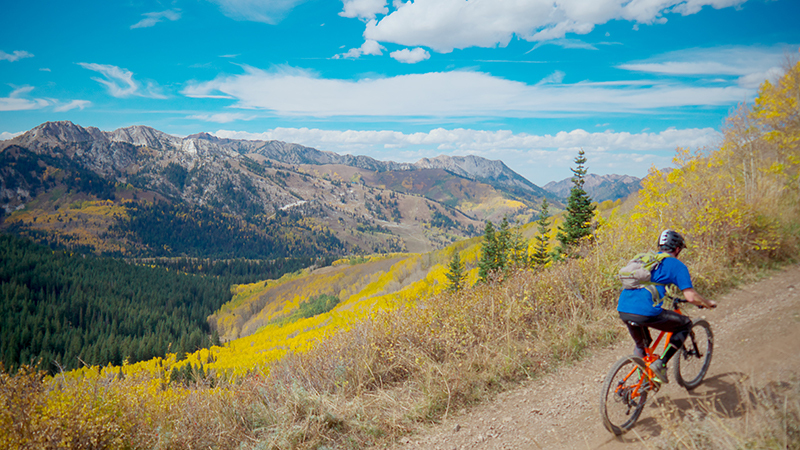 You spend almost the entirety of the ride around 10,000 feet with views in every direction. After a few miles, however, you&apos;ll hit the infamous "Puke Hill" fireroad. Despite the threatening name, it is a steep but relatively short climb before you get back onto the singletrack. Then the climb is quickly forgotten as you fly through some of most beautiful scenery on the planet. After one more quick climb you drop onto the "Spine," a sharp, rocky section of the trail that may be a bit much for beginner riders. 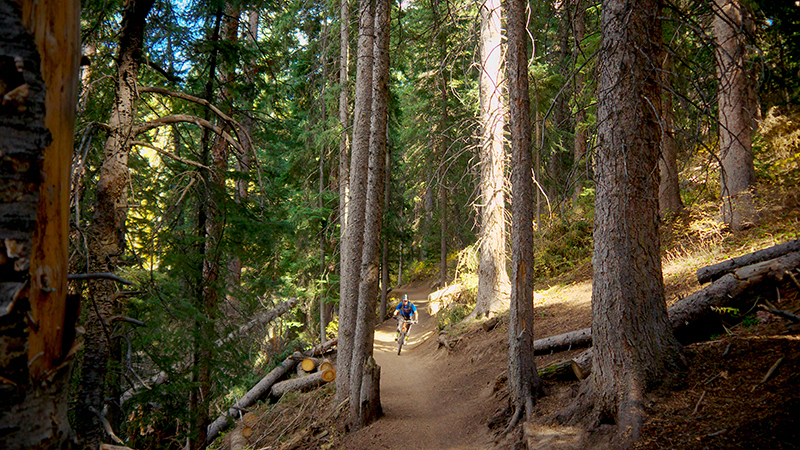 It&apos;s easy enough to hike down and move on to miles and miles of fast and flowy descents through aspen groves and deep pine forests. The truth is that words fail in describing the sheer beauty of this trail both in scenery and the pure ride experience itself. 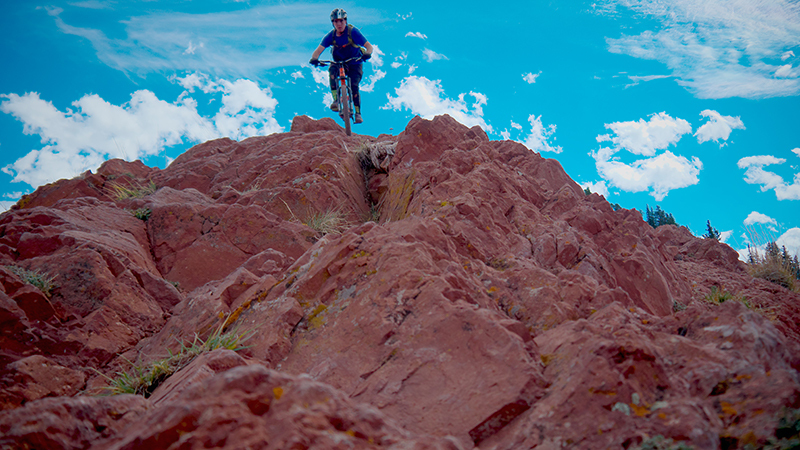 Whatever type of riding you do, wherever you are in your abilities, this trail should be on your immediate "to-do" list. You will never forget it. Pros: Huge vistas. Long ride. Fast descents.